Bio: 2013 BMX Racing Greek National Champion. 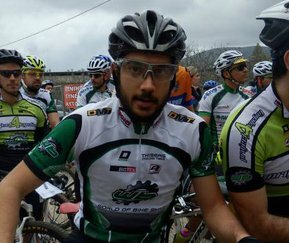 MTB 4X Greek National Champion. 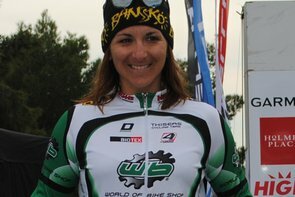 Bio: 2013- Cat.Elite Women MTB: XC Team Relay Greek Champion. 4th XC National Championships. National XC-Cup #2 (Spilia) Winner. Attiki Regional XC Championships Winner. 2012- Cat.Elite Women MTB: 3rd XC National Championships. Bio: 2013- Cat.U17 Men MTB: XC Team Relay Greek Champion. 2nd XC National Championships. 2nd National XC-Cup #2 (Spilia). Attiki Regional XC Championships Winner. Silverback Trophy XC Winner. 11.JuniorsCup Winner. Kefalovrysso XC Winner. Member of National Team. 2013- Cat.U17 Men Road/Track: Individual Pursuit Greek Champion. 4th National TT Championships. 5th National Championships Road Race. 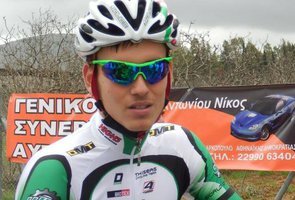 Attiki Regional Championships TT Winner. Mt.Parnitha Climb Race Winner. Mt.Ymittos Climb Race Winner. Memorial Papagiannis TT Hill Climb Winner. Member of National Team.